As spring approaches, we venture into March with a sense of renewal and are excited for the possibilities ahead. Whether it’s a new hair style or healthier habits, this month is all about finding what’s best for you. 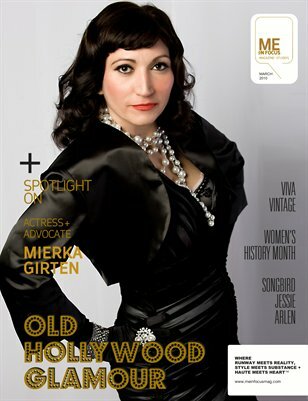 Just in time for the Oscars, Chicago actress Mierka Girten channels Old Hollywood Glamour and shares how she stays positive and keeps moving forward despite living with Multiple Sclerosis. Spring is a time to be inspired and motivated, and in honor of International Women’s Day and Women’s History Month, we share with you the women who have inspired us along the way.